Types of Replacement Windows | What's the Difference? The most well-known window brands you will hear are Marvin, Pella, Anderson Renewal, and Sunrise. So how can you tell if which brand is right for you? Sunrise windows are a premium brand of vinyl that is usually used for replacement installations. They are great for air infiltration, high energy efficiency, and lifetime warranty. If those qualities are important to you, then Sunrise Window is the brand you want to choose. Anderson offers a wood window with an exterior plastic covered frame. Anderson Renewal Windows are often used for a replacement window. The frames are made of a mixture of wood sawdust and powdered vinyl. Unfortunately, this type of mixture for a window is not the strongest and will not hold up with time. Pella offers wood, fiberglass and vinyl windows. Each has their own style and usage. Pella windows have been said to have cladding problems, seal failures, rotting wood and spotted glass. They are similar to Marvin and Anderson windows except for price point. They offer windows at a higher price then Marvin Integrity windows for less ROI and quality value. Marvin Windows product line has great craftsmanship. They are great for a long-term investment in your home. 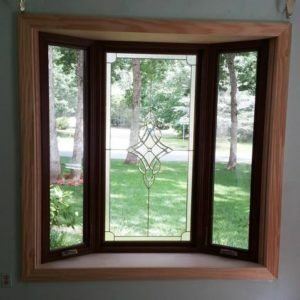 They make fiberglass windows with an Everwood interior for the look and stainability of wood without actually having to worry about wood decay for the interior. Their line of Ultrex fiberglass is made of strong fiberglass materials that also has an acrylic finish that will last you for years. Marvin Integrity Windows have multiple options available including different shapes, hardware, colors and stained finishes. In all, when it comes to windows, you get what you pay for. Each brand has their pros and cons and different styles of windows. When looking at price, quality, warranty, and customer service, Marvin Integrity Window, and Sunrise Window come out on top in those categories. For information on installation, price, and warranty contact us today and we will be glad to help!